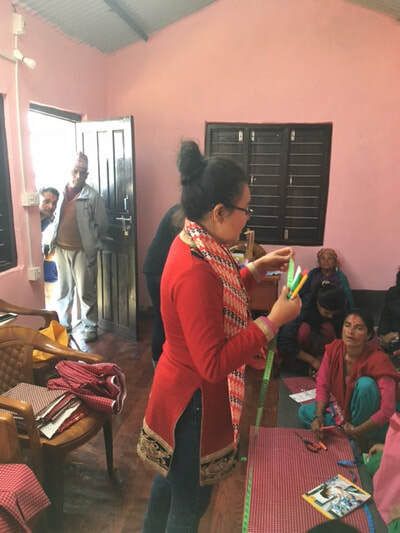 Kavita Thapa Adhikari, our HANDS field representative, has been educating our HANDS in Nepal Board about the critical need for rural women in Nepal to learn not only sewing skills, but how to use those sewing skills to make hygienic products that are difficult to obtain in the remote, outlying areas of the Nepal Himalayas. 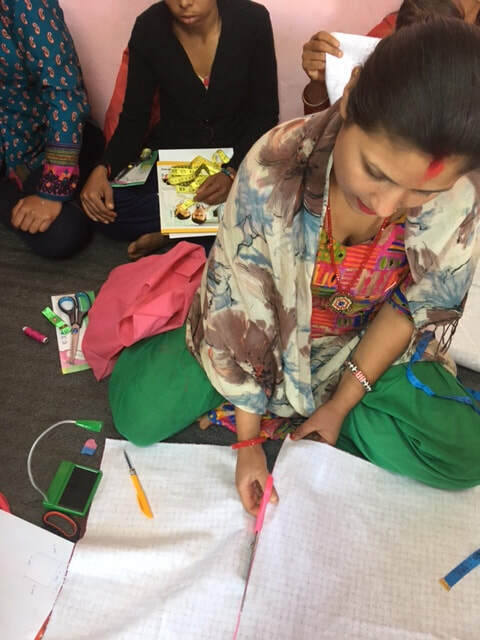 Kavita has been leading womens hygienic sewing workshops for awhile now, and asked if HANDS in Nepal would like to team with her to present some of these training programs in our Learning Centers. 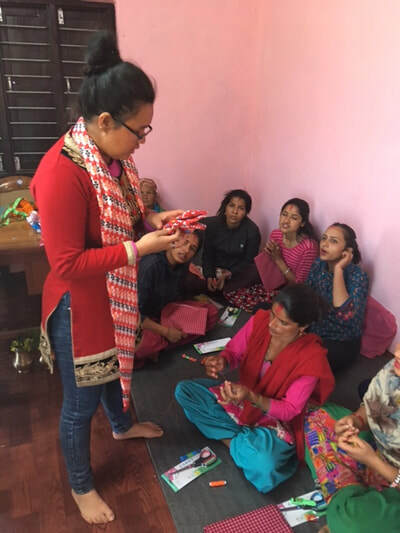 We bought sewing machines for Kavita last year in order to run some workshops in remote areas, but this year we were able to host our first HANDS in Nepal sewing workshop in our recently completed Learning Center in Jirjirka village, near Astam, with Kavita leading the program. 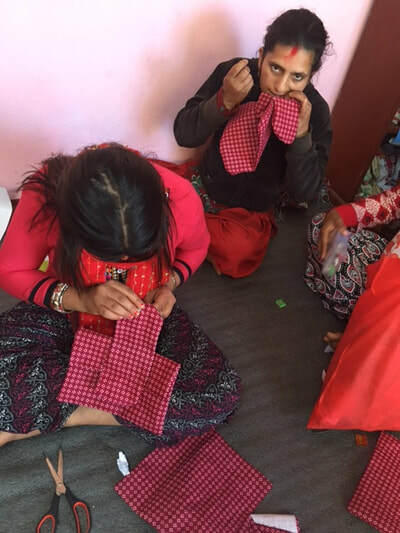 Our first stop in setting up the program was shopping in Pokhara for fabric, scissors, thread,measuring tape and needles in the bustling market place. 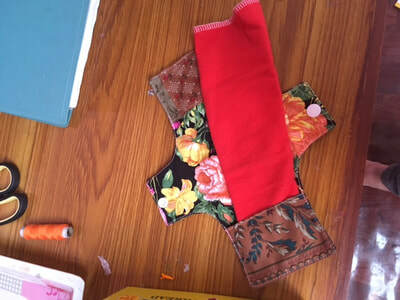 Yards of cotton were purchased for the making of reusable sanitary pads, and enough scissors, thread and other items so each woman could take home a “kit” and be able to sew more pads in her home. HANDS also supplied one treadle sewing machine for use in the center by women, to demonstrate how quick the pads can be made. For the program, however, women first learned to hand stitch their pads using a pattern. Kavita had each person make their own patterns, then cut. 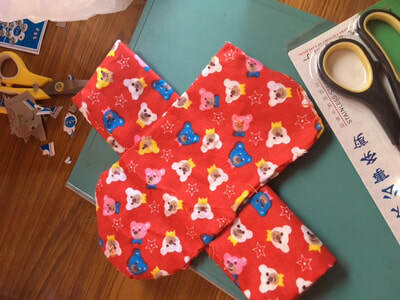 Snaps sewed onto the tri-fold pad secure the pad in place when worn. 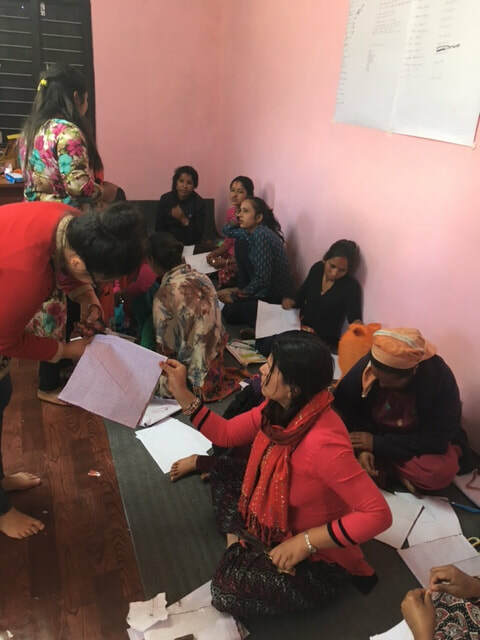 The workshop took only a few hours, with women enjoyed a social time to gather and chat as well. Curious men began to gather at the door of the Learning Center, with eyes peering in, but the women made it clear this was a “Gals Only” event! We hope to host more of these workshops in our other villages where our Learning Centers are going up. It is proving to be a wonderful use of the Centers HANDS builds for these remote, rural villages. 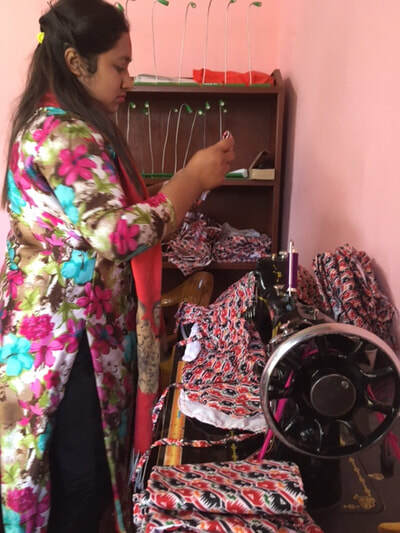 And the skills the women learn will help their daughters as they pass on the training. 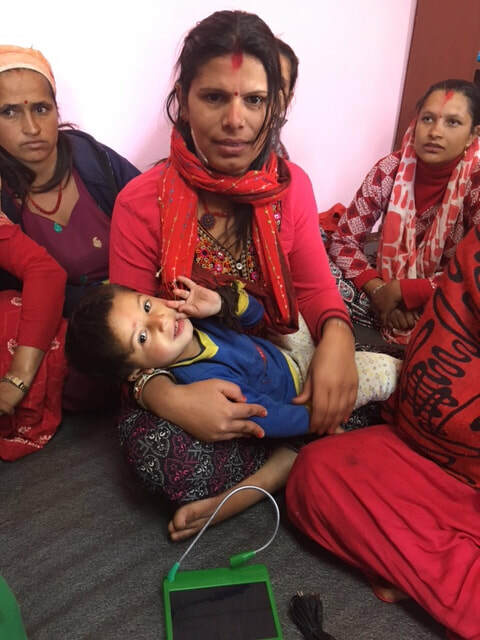 Thank you to all our donors for helping us supply the centers, and the sewing machines and materials used for the programs! If you’d like to donate specifically to the sewing programs, you can sponsor a sewing machine for $150, or denote that your donation is to be used for the sewing programs.